The Zoning Administrator executes and enforces the Zoning Code for the Village of Franklin Park. The Zoning Code can be found in Title 9 of the Franklin Park Village Code. The zoning classification of a particular property can be found using the interactive zoning map or downloadable PDF zoning map. To use the interactive zoning map, enter an address into the search bar or zoom in to locate a property. Click on any parcel for address, PIN number and zoning classification. The Zoning Administrator serves as staff liaison to the Zoning Board of Appeals (ZBA). The ZBA reviews and hears all formal appeals for zoning relief whether through direct application to the Board or as an appeal of a decision made by the Zoning Administrator after a review of the Zoning Code. Please contact the Zoning Department for details when beginning the application process. 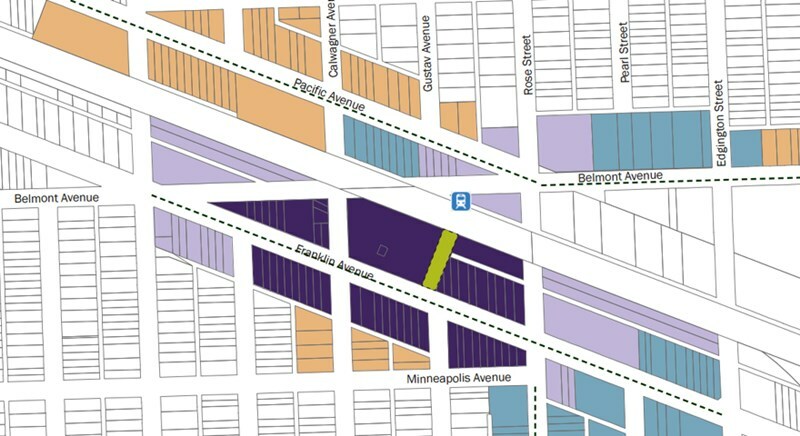 The Franklin Park Board recently adopted new zoning regulations that will help to regulate future development in downtown Franklin Park and encourage transit friendly development around the Franklin Park Metra station. You can click here to view the new downtown zoning code. Last revised in 1974, this update to the zoning code will make it more relevant to modern day businesses and development standards. The new regulations will streamline the approval process for projects that fit within the new zoning standards and enable Village staff to more efficiently work with developers on potential projects. The work to amend the zoning regulations was funded by a technical assistance grant from the Regional Transportation Authority’s Community Planning program and aimed at fulfilling the objectives of the Village’s Transit Oriented Development Study, completed in 2006. The update's goal is to provide guidance to the municipality on ways to attract and retain businesses, increase tax revenues for the Village, enhance transit access and encourage development in the downtown area. Existing businesses and properties will not be affected by the new code. The updated zoning code will apply to new land uses, development or properties undergoing substantial rehabilitation. The Village believes that this zoning code update will spur development because it will streamline the business occupancy process as it accommodates for a greater range of land use types in the downtown. The new zoning regulations will assist the Village in realizing a balanced mix of land use that is pedestrian-friendly and complements the character of our downtown area.